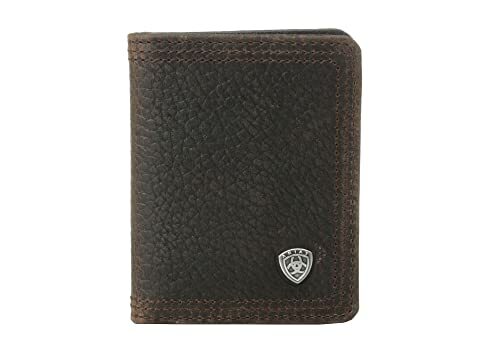 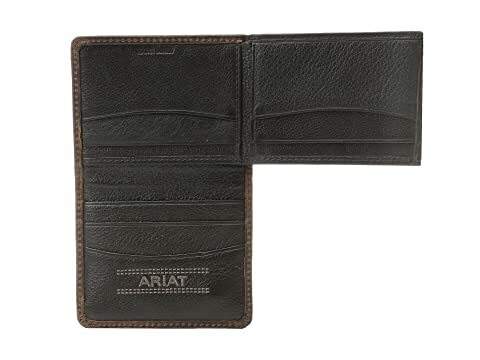 A cowboy can't carry just any old wallet, so let the Ariat® Shield Bi-Fold Wallet keep you organized. 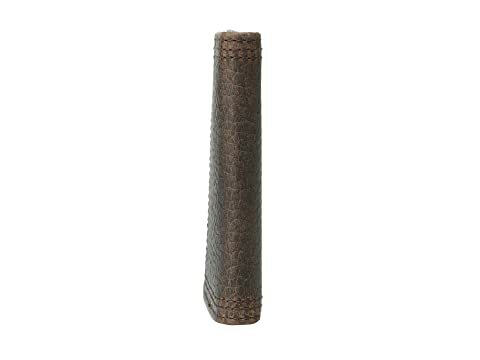 Features standout stitching detail and a small silver-tone Ariat concho. 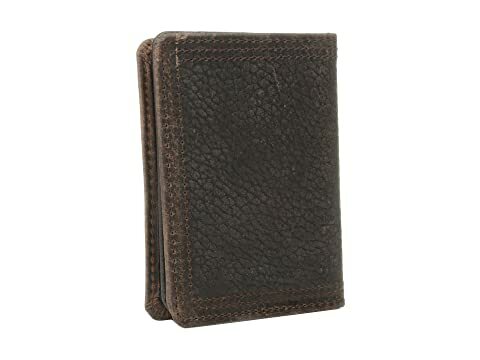 Interior has seven card slots, one open cash pocket, and an identification window.